We beat Toronto, Milwaukee, Philadelphia, and Boston this season, you think the players just don’t remember? Of course now, but we beat Toronto and Boston without their best players and Philly before they acquired Butler. We had a good game plan against the Bucks which worked very well when Oladipo was playing. We're certainly not the same team without him against the Bucks and it showed. None of our Guards were able to do any damage and our Bigs played too damn soft. So, no. They didn't forget. They just lost confidence in their ability to beat a contender. Even if that happens (which is pretty unlikely since Detroit has 7 road games in those 9 including a West Coast trip) the Pacers would still be favorites for the 5 seed at that point. They would play each other twice in those last games, and then Detroit would still have home against Portland and at OKC, while the Pacers just have home Boston. Detroit would likely have to sweep Indiana in those two games to take the spot. And Brooklyn can't even come reasonably close to Indiana. They have the hardest schedule in the entire NBA remaining. I confess...I didn't check other teams schedules, but I'm not sure we will even win 3 more games this season. 44-45 wins will be a struggle to get 5th. We may do it but we will leave the door wide open for Detroit and even Brooklyn if they get hot. We don't have a big man who can (or is willing to) bang in the post against the likes of Embid or Giannis. But that's what happens when you have a big body like O'Quinn and you don't play him for much of the season. I would have taken the change and played Turner and O'Quinn. It would've meant slowing things down, but at least we wouldn't have been dominated by one player in the post. Embid - just as Giannis did in the game prior - kicked our *** by himself! I haven't seen that happen to a team since the days of Shaq, Amire Stoudemire or Dwight Howard in their hayday. We just don't have a player who is willing to OWN THE PAINT. We have a rim protector, but no dominate player in the post. The Pacers' style of basketball requires our Center/PF to lure his defender away from the paint. Even Sabonis who doesn't ake 3's still plays a large portion of his game out of the paint and that's always going to be a problem against any team that has a true Center we have to go up against. You act like Embid and Gianni's don't do that to a lot of teams. If anything we have a better chance of stopping them than a lot of teams, our young big men just have to keep getting stronger and tougher against them. If Myles and Sabonis weren't both basically old school rookies age wise I'd be more worried. I don't think either one will just roll over to them in a 7 game series. Nothing about Sabonis or Turner to me scream soft. They are just playing against grown men and still have some growing to do of their own. Embiid is two years older than both of them, and for NBA big men, that matters. Giannis is over a year older as well. Let them all get into their primes and we'll see what happens in the post. 8 of our next 9 games are against teams that are over .500. If we go 1-8 in that time, we will be 43-33. Detroit is currently in 6th at 34-31. They have won 8 0f their last 10 games. If they keep up that pace while we are going 1-8, they would go 7-2. We would be 43-33, Detroit would be 41-33. We'd be tied in the loss column with 6 games left for us and 8 for Detroit. I think it's quite possible they could catch us. Last edited by Unclebuck; 03-11-2019, 03:06 PM. CONFIDENCE is what this team lacks right now. I think they looked at the schedule, saw how many +.500 teams they had to face the rest of the way, realized they hadn't really beaten a top 8 team at all this year and panicked. They hung with the Bucks throughout the first half and then just imploded in the 3rd quarter. Instead of learning their lesson against the 76ers, they allowed the same thing to happen - one player just dominated them in the post. Except for O'Quinn, our bigs performed terribly! As for our Guards, Holiday came away with the best performance scoring 6 pts on 2-4 FGA with 1 3PA in 8 minutes of play. EIGHT MINUTES! Compare that to Cojo's 4 pts on 2-6 FGA in 22 minutes or Matthews 4 pts on 2-7 FGA on top of going 0-4 3PA in 29 minutes. None of our Point Guards registered more than 2 AST. In fact, Sabonis got more assists (6) than DC, Cojo and Matthews combined (5). I'm not sure if that was because the ball stayed in our Guard's hands or if guys just weren't making their shots, but one thing's for sure: The Pacers just flat out sucked yesterday...no two ways about it. People were definitely not making shots last night. That's a given, especially in the second half. As for Kyle, while he performed well offensively he completely gave up on guarding Embiid in the post once and that infuriated Nate. The Pacers remaining schedule is tough, but if you say this - if the Pacers only beat the teams with a worse record starting now . Do you realize the Pacers would finish the season with a 12-3 record? Granted, the Thunder, Celtics, Blazers have only a slightly, very slightly worse record. But even if you turn all 5 of those games around - - meaning pacers lose all 5 to those three teams, Pacers still go 7-8. So the sky is not falling. That, my friend, is EXACTLY my point. By the numbers, Myles Turner should be just as formidable as Giannis or Embiid but he's not. Is it because of the way he's being used as a Stretch-Forward? Is it because he's really not a Center but rather a PF playing from the 5-spot but used as a Stretch-Forward for offense and a rim protector (shot blocker) on defense? IMO, Myles Turner doesn't have the frame to compete in the post like Giannis or Embiid and so, he doesn't try dominating the post simply because it's just not his game. Don't believe me? Watch this video series of Myles Turner from his days at U of TX. Notice how he never makes a power move to the basket. Most of his offense comes from FGs away from the basket. I'm not saying that's a bad thing. I'm simply saying the Pacers don't have a big body Center who can compete on Giannis or Embiid's level because their style of play isn't to have a dominate post player in the traditional sense. Rather, it is to stretch the floor creating space for shooters and slashers. Do I wish Turner would add some strong post moves to his game? Hell yeah! He has it in him to do so. I've seen him make a strong move to the basket on rare occasions and be very effective. He really needs to do that more often to throw his defender of balance. Last edited by NuffSaid; 03-12-2019, 11:35 AM. Maybe not but they'd better figure it out and fast before they're looking at things from the bottom-up instead of from the top-down. To me, it would be a shame for the Pacers to lose their #3 seed considering they've held onto that spot for most of the season even with losing Oladipo. So, if they want home court in the first round, they'd better start playing like it's theirs and challenge teams to come take it from them instead of playing as if they're scared it might slip from their grasp. In other words, this team needs to develop the attitude, "IF YOU WANT IT, COME AND TAKE IT!" Last edited by NuffSaid; 03-11-2019, 04:46 PM. I think the Pacers competed pretty well. The problem isn't their attitude. They are working their tails off. The problem is the experience and talent level they are facing and going to face down the stretch. That's just it. The last few games we've played against milwaukee, philly, boston since Dipo has gone down gives me no reason to believe we could beat any of them in a series. We've had chances to prove ourselves and have just flat out not looked at their level. Our only chance at a competitive series is getting home court, but that ship appears to be sailing too. Pacers gotta figure something out quick or else this is season will be reduced to a boring first round exit. Which is a shame because this season started so promising. If we can get 50 wins i'd take that as a moral victory too I suppose. At least we kept the home court winning record streak alive - that is sacred. The dreams of getting past the first round ended on January 23rd. There was never any hope of beating the four better teams in the conference without Vic. That's a strange decision to highlight. The Pacers were up 5 when Turner checked in the game with 4 fouls, and they were up 2 when he checked out 4 minutes later without picking up another foul. Obviously they were poor on offense during that stretch, but the total collapse came later. 3 points in the next 9 1/2 minutes was a pretty big collapse, imo, all of which started when we inserted a player who played like he was afraid to pick up hid fifth foul. Our entire offense went out of rhythm from that moment forward, exactly like I predicted to the people watching with me. So I don't think it's strange to point out. Is it because he's really not a Center but rather a PF playing from the 5-spot but used as a Stretch-Forward for offense and a rim protector (shot blocker) on defense? IMO, Myles Turner doesn't have the frame to compete in the post like Giannis or Embiid and so, he doesn't try dominating the post simply because it's just not his game. Don't believe me? 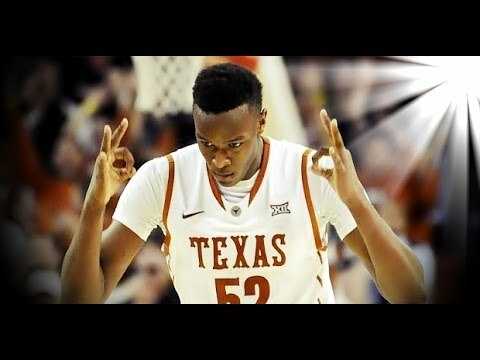 Watch this video series of Myles Turner from his days at U of TX. Notice how he never makes a power move to the basket. Most of his offense comes from FGs away from the basket. I'm not saying that's a bad thing. I'm simply saying the Pacers don't have a big body Center who can compete on Giannis or Embiid's level because their style of play is to have a dominate post player in the traditional sense. Rather, it is to stretch the floor creating space for shooters and slashers. Do I wish Turner would add some strong post moves to his game? Hell yeah! He has it in him to do so. I've seen him make a strong move to the basket on rare occasions and be very effective. He really needs to do that more often to throw his defender of balance. I 100% agree that Turner plays more like a PF than a C, his ability to block shots can very easily translate at the PF spot as he is very good at chasing & pinning shots. Time and Nate will tell whether there is any real hope of Myles and Domas starting and/or regularly playing in the same lineup. It's been covered ad nauseam, but it would require them to swap positional responsibilities on offense and defense, with Domas guarding more perimeter oriented bigs and Myles operating away from the hoop more on offense. And I don't think Myles has the repertoire or build to be a post player offensively anyway. Neither Myles nor Domas are going to be particularly successful guarding Embiid in my opinion unless they can all of the sudden add a bunch of bulk. Neither of their frames would indicate that would be possible/natural. Embiid and Giannis are going to be about as close to unstoppable around the basket as you can get. They have unparalleled combinations of agility, height, strength, bulk, and athleticism. In order to not just complete, but actually have a chance to beat the upper echelon teams (especially in playoff series), it's going to take a fully healthy Dipo and a significant talent upgrade at at least one other position. That has not changed since prior to the injury. The team's performance at times in Dipo's absence has given hope that maybe the talent is there simply with a fully-recovered Dipo, but I am not yet convinced. Unless Turner can ramp his offensive production up to around 17 ppg and Bojan and Vic are both pushing 20+.